The Short Version: Kimberly Seltzer goes beyond conventional therapy to help singles change not only their inner lives but also revamp their confidence and appearance. As one of America’s top Dating Makeover and Confidence Expert, Kimberly teaches her clients to overcome issues related to both dating and presentation. She considers herself an action-oriented therapist who helps people tackle their challenges — from their outer appearance to their internal disposition. Her strategies with clients include testing new dating skills and trying on new outfits in front of a department store mirror. And Kimberly tailors her services to every client’s unique personality, so they can learn to be the best version of themselves. 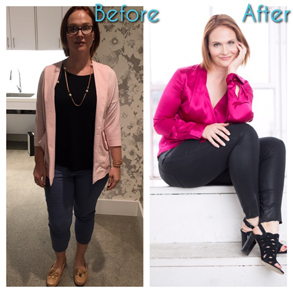 Dating Makeover and Confidence Expert Kimberly Seltzer changed the life of one client who couldn’t even look at herself in the mirror. When Kimberly and the client went to a department store in search of a dating outfit — which is one of her coaching services — the woman broke down in tears. She told Kimberly that she’d covered all the mirrors in her house because she hated looking at herself so much. “What was profound about her case was that she was giving all her power away. She hated her body and didn’t have any dating clothes. Expressing her needs was very hard and she kept apologizing,” Kimberly said. 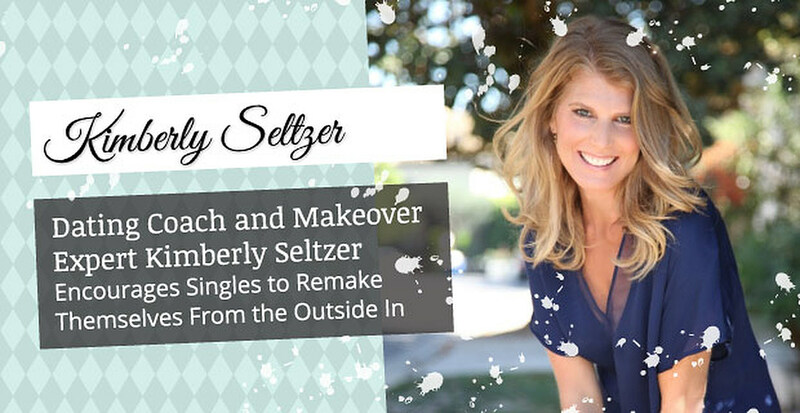 Kimberly Seltzer helps clients boost their self confidence by starting with their appearance. The issue with the client wasn’t only that she didn’t like what she saw in the mirror. She also worried about what others thought of her and her body — not about her own needs. But at the store, Kimberly encouraged her to try on a new dating outfit anyway. One of Kim’s beliefs is that clients may not be satisfied with their appearances simply because they don’t know what to wear. In the new outfit, the client caught a glimpse of herself in the mirror and stopped in her tracks. “She froze. The tears started to drip down her face and she said, ‘Kim, I’ve never seen myself so beautiful.’ It was a breakthrough moment,” Kimberly said. From there, the client made incredible progress. Kimberly scheduled a photo shoot for pictures to use on dating platforms — and the client even gushed about how beautiful she looked. More importantly, the woman started believing that she could have healthy relationships. This client’s story epitomizes Kim’s philosophy as a coach. Whereas many coaches may believe that clients should work through their self-confidence issues from the inside out, Kimberly said she thinks clients can benefit from starting with their appearance. “I bust the myth of working from the inside out. My belief is you have to work from the outside in,” she said. Kimberly’s unique blend of services has attracted a wide variety of clients. She works with both men and women of all ages. She really enjoys seeing the impact and profound changes on men because they are not used to paying attention to how they present themselves. Her clients are successful in most areas of their lives, except, of course, in dating. Often, they are successful professionals who are too busy to find love. They also may not know where to meet people because they’re always working. Some are recently divorced and seeking help because they’re trying to date again. Kimberly’s clients make dramatic aesthetic transformations that can boost their confidence and outlook. That final group — shy people who lack confidence — makes up the majority of her clientele. But, no matter the client, Kimberly’s goal remains the same: “I teach people how to interact and communicate,” she said. Though many clients turn to her for her style advice, Kimberly also offers services tailored to singles with a variety of relationship troubles. She offers free services for clients who may not have the time to commit to coaching. A one-hour free webinar can help many daters, and singles can decide whether they want to take the next step and call Kimberly. They can also take a dating archetype quiz to determine their most significant dating challenges. If potential clients decide they want sessions with Kimberly, they have many coaching options. Most clients opt into a three-month phone coaching program in which they talk to her every other week and complete homework in between sessions. Kimberly is well-known for her makeovers that encourage daters to feel better about themselves. These makeovers might include revamping their dating profiles with Kimberly and working on a more holistic virtual makeover. “In a one-hour virtual makeover, I go over their body type, and their colors and I help them choose a dating outfit according to their body type and style,” she said. However, presentation is only one component of Kim’s practice. Clients’ overall change stems from three directions in Kim’s coaching work. The first is the Charisma Quotient — which also happens to be the name of her podcast. This part of her philosophy focuses on a person’s outer qualities, like style, presentation, body language, and dating awareness. A charismatic dater can confidently interact with a partner she finds attractive. Next, successful daters need to develop an emotional IQ — which includes authenticity, vulnerability, and self-expression that appeals to potential partners. “Without emotional IQ, singles struggle with building more real and intimate relationships,” Kimberly said. The final part of the formula is Social IQ, in which clients are asked to take what they’ve learned to the street to interact, flirt, and communicate with partners they find attractive. “People have the power to change inside and out to get what they want,” Kimberly said. Ultimately, these tools help clients get out of problematic relationship patterns and into healthy, happy dating situations. Kimberly often sees traditional — or inside out — therapy fail clients because they tell themselves they’ll work on something but then fail to follow through. She would hear clients talk about what they would do, but where was the action? In her coaching practice, Kimberly makes clients take action to get what they want. “I get laser-focused with people and tell them what they need to accomplish in a short amount of time,” she said. With this results-oriented style of therapy, Kimberly can get clients to adopt changes that will alter their dating lives. For example, she offers local clients “wing girl” coaching sessions in which she helps them choose their outfit and monitors their flirting style in a real-world setting. One of the problems Kimberly often sees is that clients limit their options. Many fall back on online dating, and they fail to see results, thus losing hope that they’ll find a connection. Instead, Kimberly encourages her singles to seek partners through as many different channels as possible. “Diversifying your dating profile is like diversifying your financial portfolio. You have to do as many things as possible to meet the right person,” Kimberly said. She wants to ensure her clients are producing results, so she isn’t entirely hard-nosed. Instead, she has a sense of humor about situations — which is as important in her line of work as it is in dating. She combines humor and action plans to make significant progress in a short period. And those transformations keep Kimberly motivated. Jon McCallister is a Contributing Editor for DatingAdvice.com with more than 15 years of experience editing, writing, and designing at numerous publications. Jon enjoys researching emerging trends and seeking out the companies, organizations, and individuals making an impact in the modern world of dating.